Well, technically spring doesn’t start until 5:58pm tomorrow. But today is the last FULL day of winter and what a cold start it is. Everyone was in the teens or 20’s this morning with one resort making snow last night . . . Appalachian Ski Mountain. You may even see some natural flakes flying at App (among others) this upcoming Thursday night into Friday as “A slight chance of snow showers before 7am” is predicted on High Country Weather. Again, expect the grooming to be superb today with these cold overnight temps. Today’s highs will be a touch warmer than yesterday, and not quite as breezy across the region. The trend will continue to warm a bit until later this week, where the mountains of NC, WV, and MD will see a dusting and even an inch or two in some places. What a good way to reign in spring! 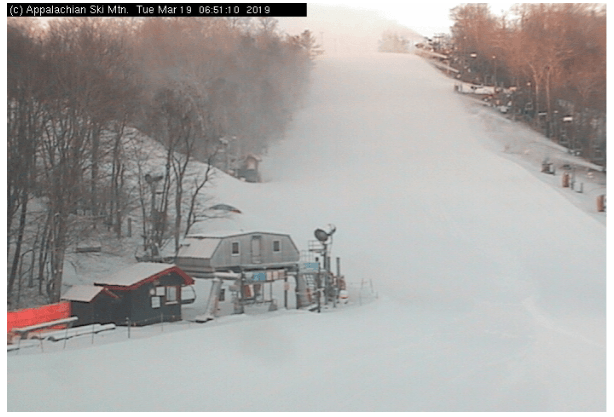 Snowshoe Mountain: It’s looking like a beautiful day is in store for us here on the mountain. Clear skies and pleasant temperatures should make for a really fun day to be out skiing and riding. Snow in the forecast . . . Wednesday Night through Friday, some accumulation is expected. 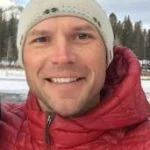 23 runs and 3 lifts on a 24-44″ groomed, granular, and variable base. Winterplace: May even add bonus days! A little man-made and/or natural snow this week for NC! 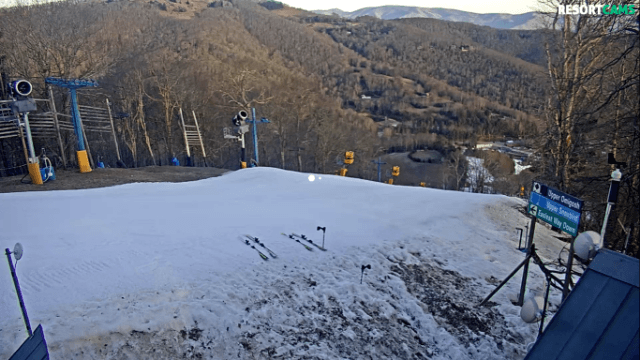 Appalachian Ski Mountain: 100% open with a growing base! App was making snow this morning! 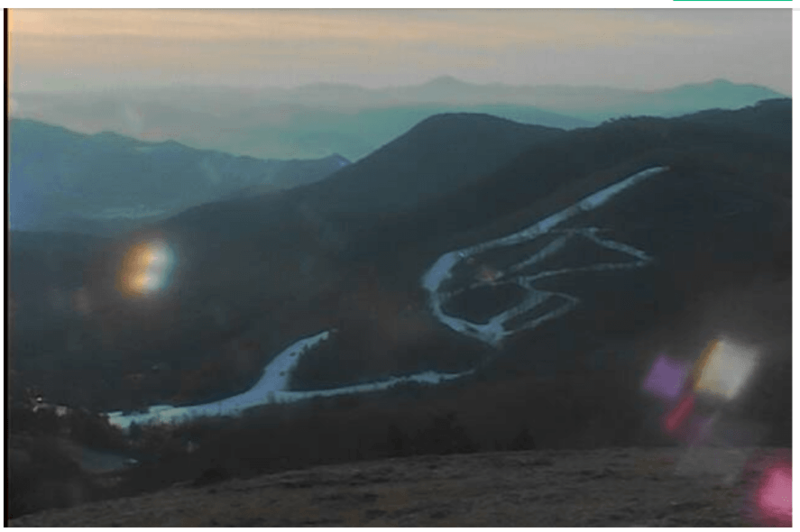 “Snowmaking has concluded for the season.” . . . But, a CHANCE of snow on Wednesday Night, Thursday, and Thursday night. Please, just one more day . 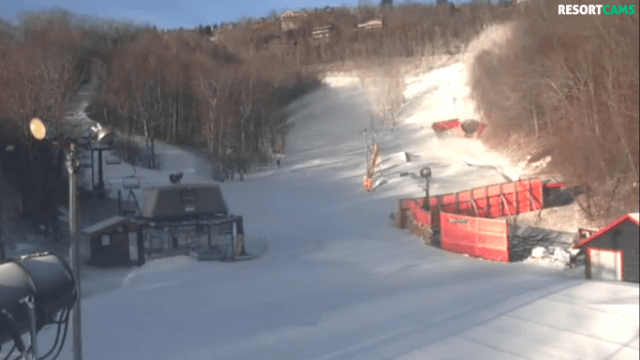 . .
Wisp saw 2″ in 48hrs! . . . more in the forecast this week. Snow in the forecast for this weekend . . .
Friday Night: A slight chance of snow before 8pm, then isolated snow showers between 8pm and 10pm. Snow in the forecast this week . . . Friday: A slight chance of rain and snow showers after 8am. Cool shot of Bryce from the sky . . .